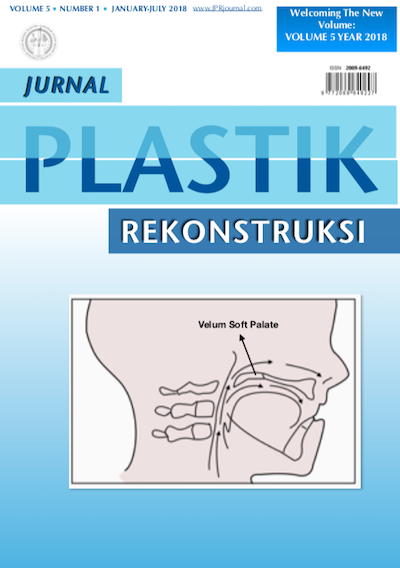 Jurnal Plastik Rekonstruksi® is an open access, peer reviewed, international journal focusing on global plastic and reconstructive surgery. JPR publishes on all areas of plastic and reconstructive surgery, including basic science/experimental studies pertinent to the field and also clinical articles on such topics as: breast reconstruction, head and neck surgery, pediatric and craniofacial surgery, hand and microsurgery, wound healing, and cosmetic and aesthetic surgery. Clinical studies, experimental articles, ideas and innovations, and techniques and case reports are all welcome article types.